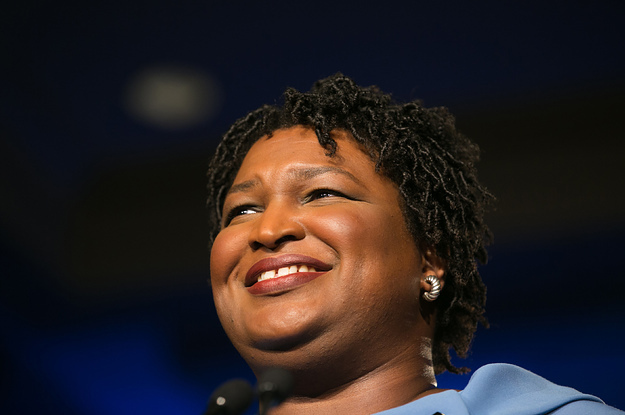 WASHINGTON — Georgia Democrat Stacey Abrams said she’s considering all her options, including a possible presidential run, when thinking about her political future. “I’m thinking about everything, I gave myself a deadline of the end of March to make a decision about what I’m going to do next,” Abrams said in an interview with BuzzFeed News’ AM to DM, days after delivering the State of the Union rebuttal on behalf of the Democratic Party. “I don’t believe in cutting off opportunities, or forgoing ideas. But often what you find is if you think about something beyond your scope, there’s something in the middle you never thought about,” she said. Abrams also responded to the president’s comments in an Oval Office meeting with reporters on Wednesday in which he said he doesn’t think Abrams can win if she decides to run against Georgia Republican Senator David Perdue in 2020. “I think it’s a mistake for her to run against him because I don’t think she can win,” Trump told the Atlanta Journal-Constitution on Wednesday. “I don’t take political advice from Donald Trump,” she said in response. Asked whether she thinks Virginia Governor Ralph Northam should resign over the racist yearbook photo of him which emerged last week, she said he and two other top Virginia Democrats who have been entangled in scandal this week should “take personal responsibility for their decisions.” But she stopped short of calling for them to resign. “I know this, these are men who have tried to do the right thing in their professional lives but I think they have to grapple with their private and personal decisions,” she said, referring also to sexual assault allegations against Lieutenant Governor Justin Fairfax.